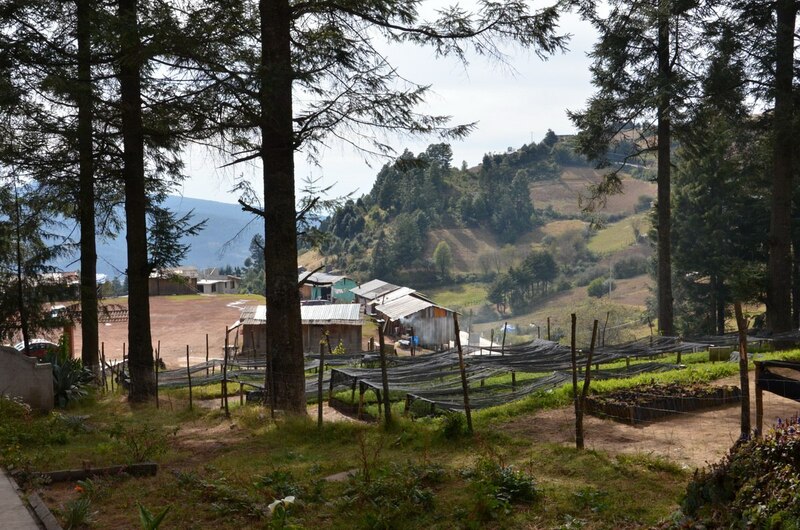 As Bob and I climbed the mountain at El Rosario Monarch Butterfly Reserve in Mexico, we were on the alert for any new bird species living in that forest habitat. 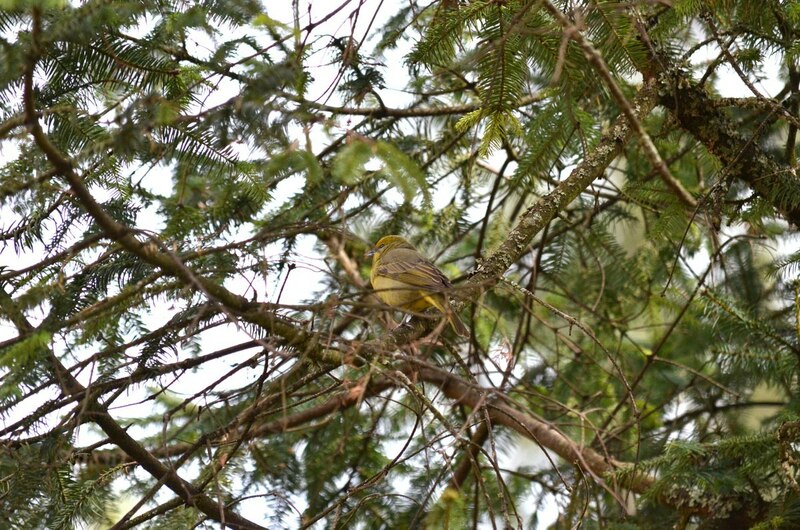 It wasn’t until we returned to the visitor centre back at the trailhead that we were treated to a sighting of Hepatic Tanagers. 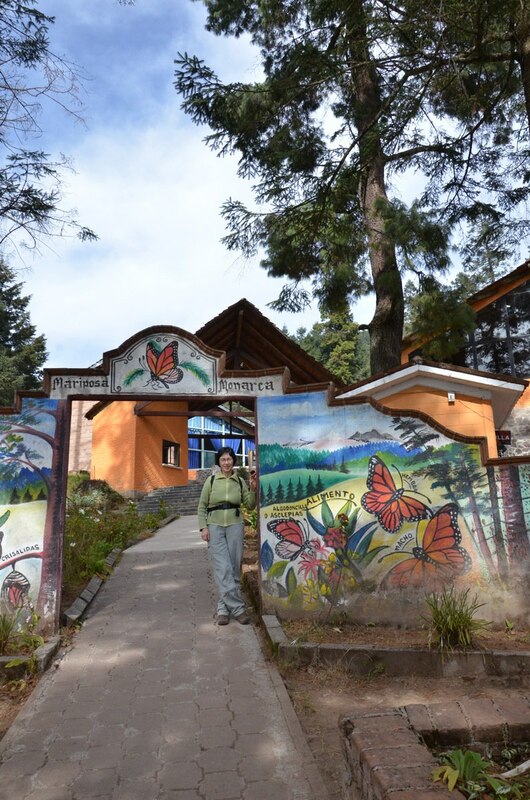 El Rosario Monarch Butterfly Reserve is located near Ocampo in the state of Michoacan about an hour’s drive north of Zitacuaro. We were pleasantly surprised by the prominence of the attraction’s front end. It established, beyond any shadow of a doubt, that we had arrived at the ecotourist destination. 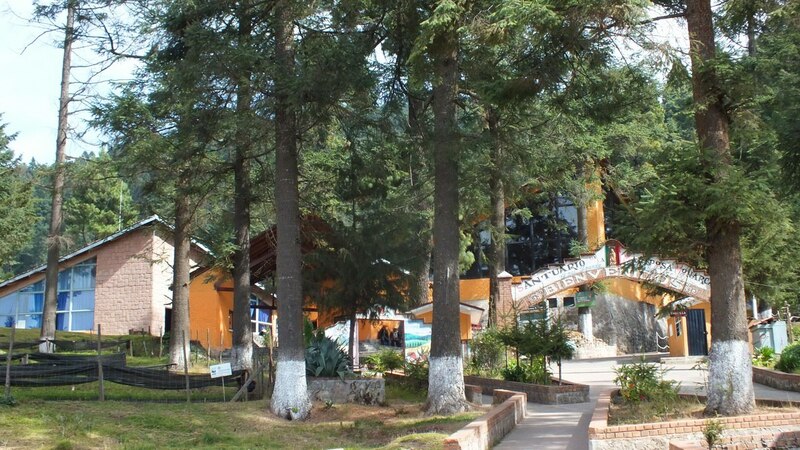 Administration buildings, a modern pavilion housing food vendors, ample tables and chairs, washrooms, as well as an entrance gate that marks your arrival, set the stage for visitors before they set off on the hour-long hike. An artistic representation featuring Monarch Butterflies adorned one panel shouldering a walkway. 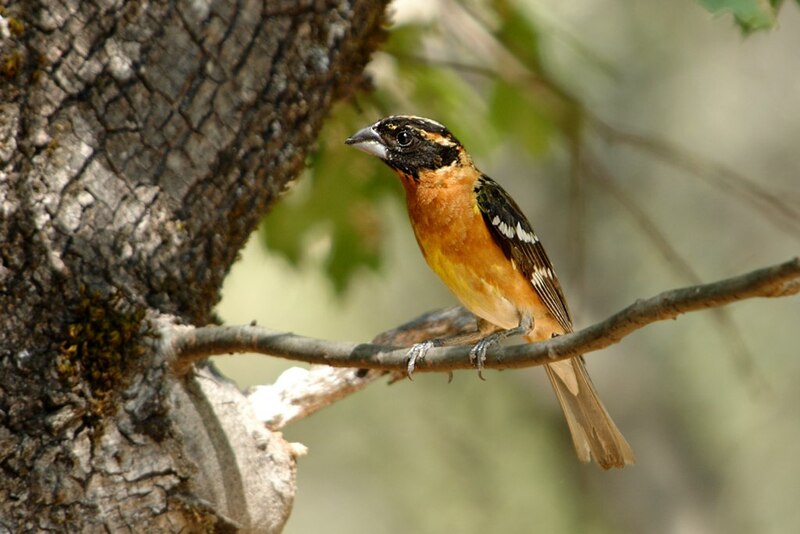 ..
and another sign educated visitors about Black-headed Grosbeaks and their predilection for eating Monarch Butterflies. We would be on the lookout for these predators, for sure. 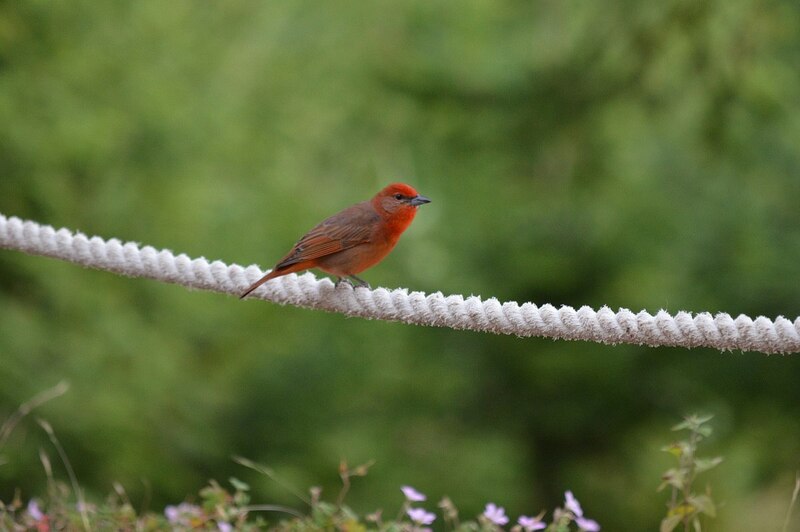 but it thrilled us to have this Hepatic Tanager putting on a show just beyond the huge glass windows of the main pavilion where we were having our lunch. Given the abundance of pine and oak trees in the region, and in particular retained as shade trees around the buildings, it is no wonder that both the male and female were seen foraging for insects and spiders. A pair usually works together to methodically search the length of upper tree branches for any prospective food. The female Hepatic Tanager, like the male, has greyish ear coverts and flanks with a dark eye streak. 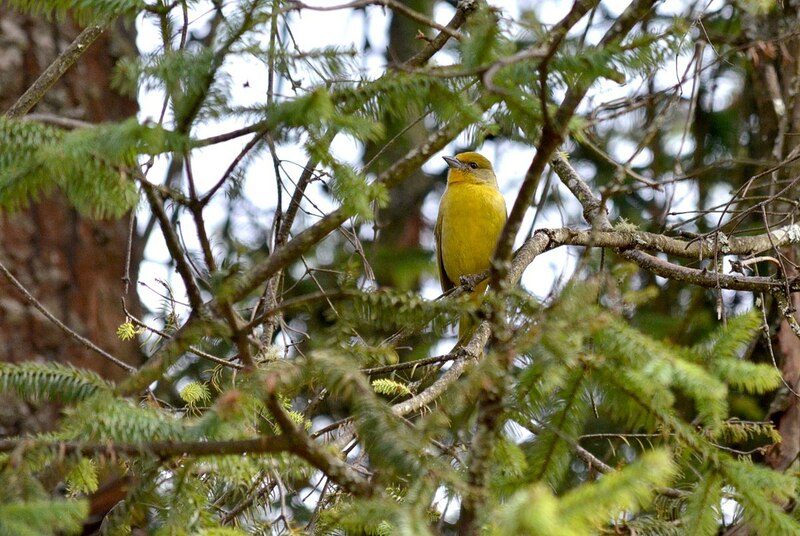 The Latin name flava refers to the bright yellow of a female Hepatic Tanager’s throat, forehead and underparts, whereas the brownish-red hue of the male’s plumage gave rise to the Latin name hepatica, which means liver-coloured. 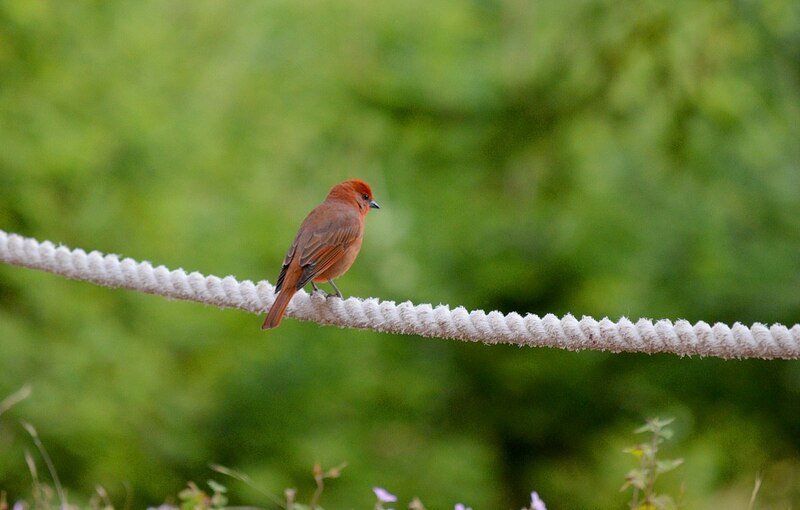 This species of bird was originally classified as a tanager, but more recent classifications have placed it in the cardinal family since their plumage and vocalizations more resemble members of that family of birds. 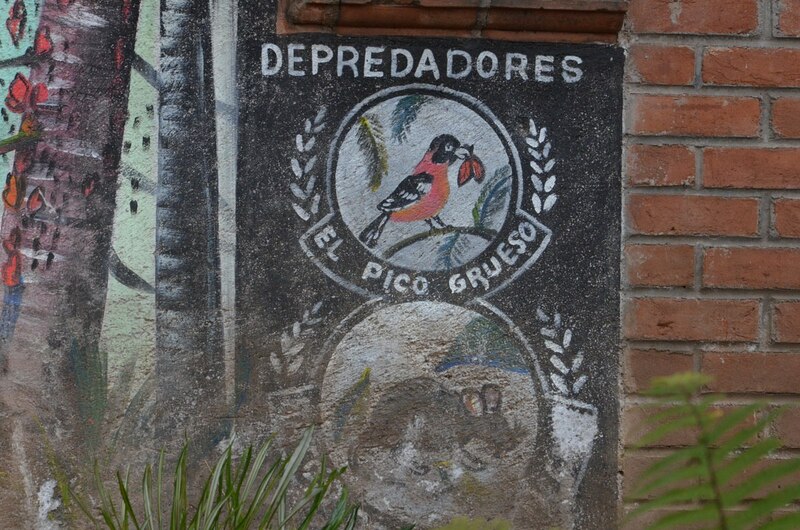 There are actually three subspecies of Hepatic Tanager with the northernmost population (hepatica) residing in areas north of Nicaragua. Members of this population are generally larger, stockier overall, with a comparatively shorter tail and stouter bill. 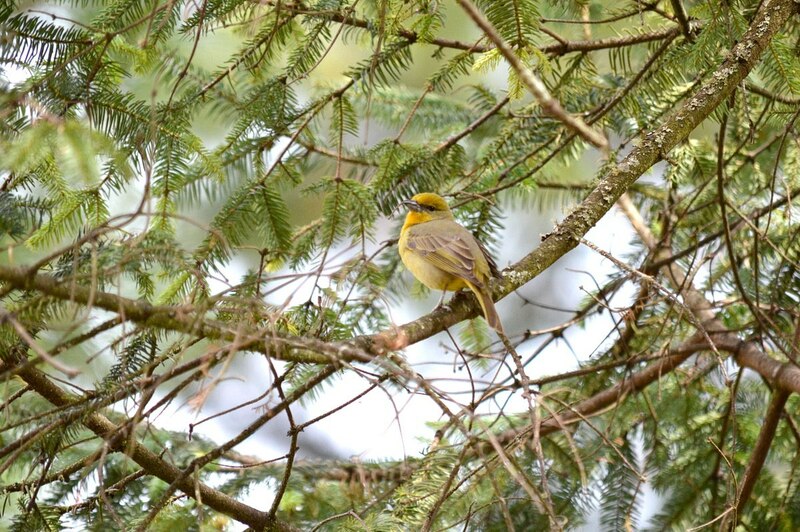 This photo shows off the plumage on a female Hepatic Tanager’s back. It is greyish-green. 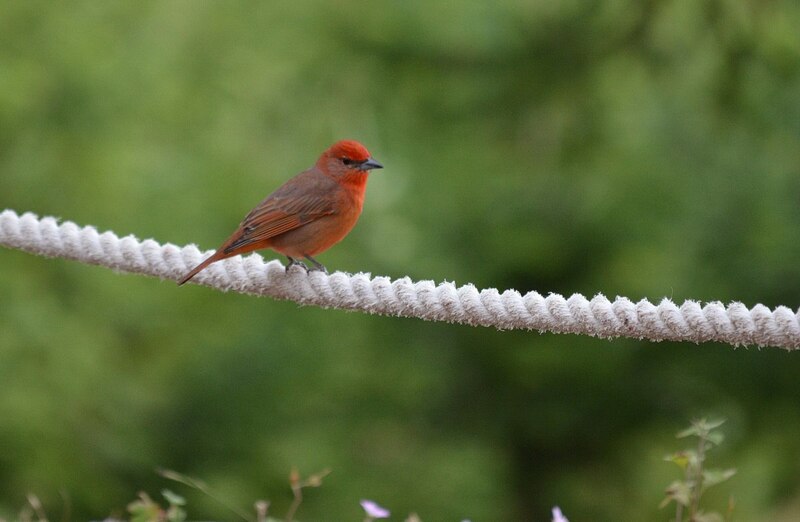 When Bob and I first tried to identify this bird, we thought that it was a Summer Tanager given the intensity of the red plumage, which on Hepatic Tanagers is always brightest on the forehead and throat. It would be logical to find Summer Tanagers at this location because they are bee and wasp eaters, and the flowers and shrubbery around the visitor centre were buzzing with hornets. I actually got stung by one before we even set off with our guide along the forest trail. 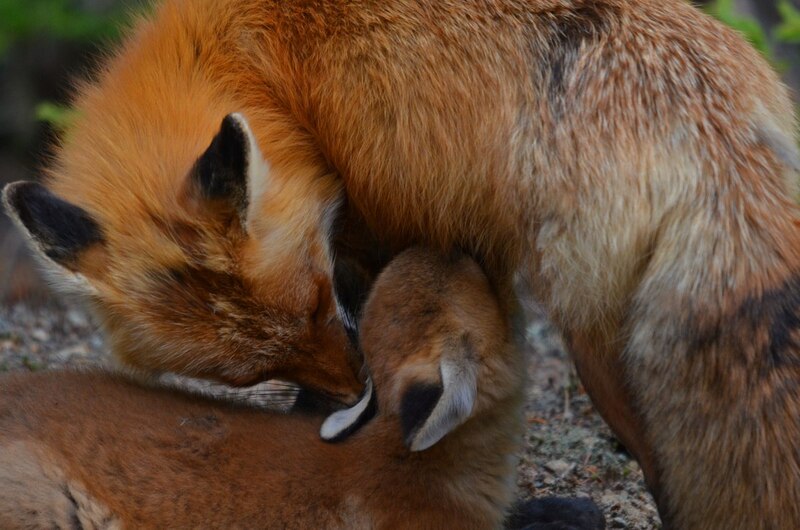 But, upon further investigation, it was the dusky cheeks on both male and female that convinced us otherwise. 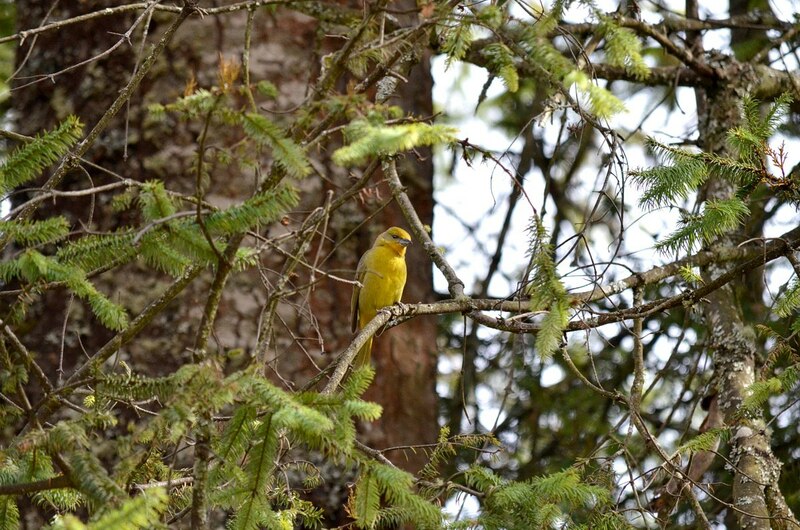 Hepatic Tanagers actually prefer open pine and pine-oak forests growing at higher altitudes than those inhabited by Summer Tanagers. Only during winter months, do Hepatic Tanagers shift to lower elevations. 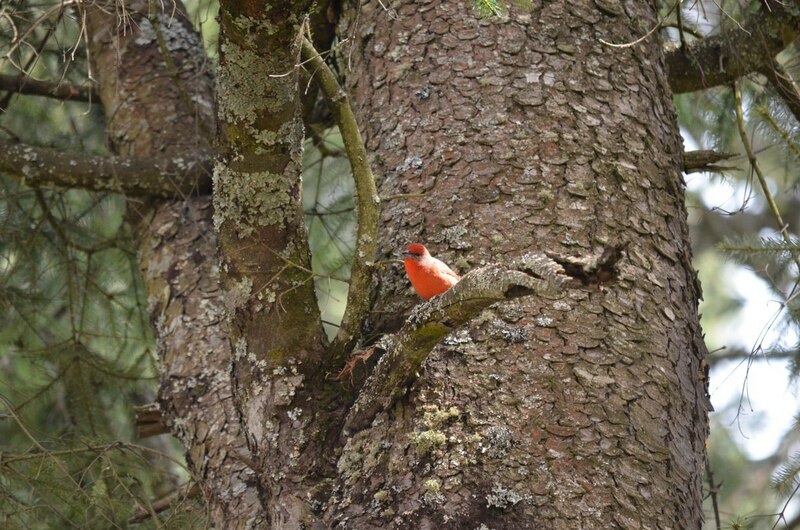 In the area of Mexico where we came across these birds, the Trans-Mexican Volcanic Belt, pine-oak forests are the predominant growth leading Hepatic Tanagers to remain year-round. Populations from the southern United States migrate to this region for the winter. During the non-breeding months, Hepatic Tanagers alter their diet somewhat, choosing to eat fruit such as figs or ripe guavas in addition to insects. So, in addition to being blown away by the magic of the Monarch Butterflies high in the forest of oyamel fir trees, Bob and I were happy to mark off one more bird species on our life-long list. El Rosario had delivered in more ways than one.